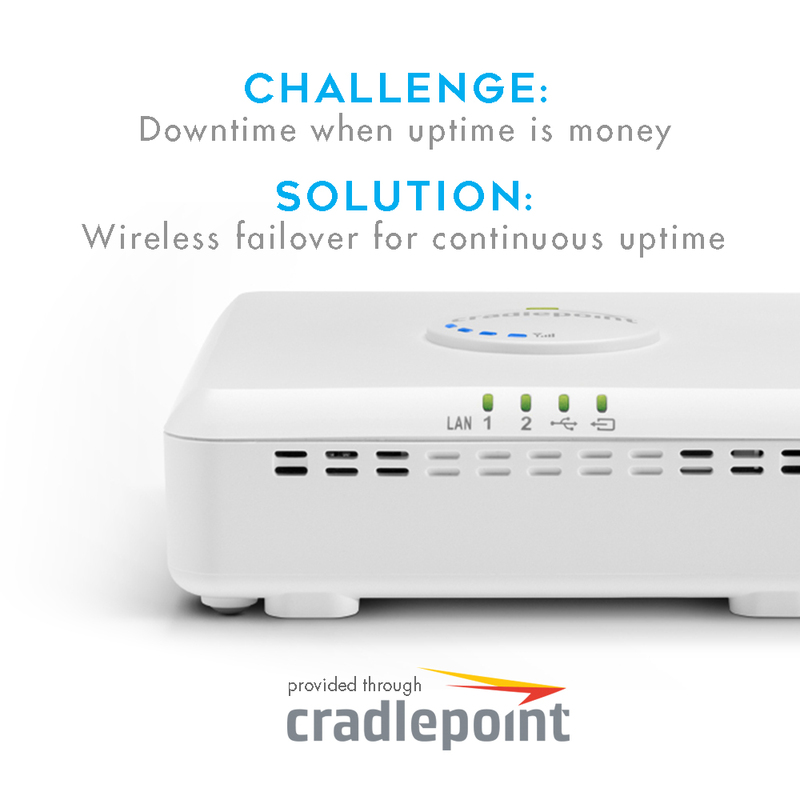 No wired connection can deliver 100% uptime. In fact, most providers claim 99% uptime. With 99% uptime the typical retailer will experience 3 hours of downtime per month. So, the question isn’t whether your business will lose Internet Connectivity. The question is how to protect your organization from loss and disruption when it happens.